Breakers East Condominium has been a longtime favorite of guests looking for Destin condo rentals close to everything in the heart of Destin, Florida. Resting directly on the white sandy shore of the Gulf Coast of Mexico, Breakers East boasts some of the largest floor plans and balconies overlooking the Gulf. With a 30-foot balcony, you have ample room to relax, take in the views and just breathe in the fresh salty air. These spectacular views can be enjoyed from both the main living area and master bedroom. The spacious two bedroom, two bath accommodations are perfect for family and friends traveling together as most of the condos can sleep up to eight guests. The large kitchens offer plenty of room to cook your fresh catch or prepare your family’s breakfasts and lunches. As a guest at Breakers East condos, take advantage of the condominium amenities including beachside pool, two lighted tennis courts, barbecue grills, shuffleboard, and, of course, private boardwalk to the beach. Once there, you can rent beach chairs and umbrellas from the attendant or for the more adventurous, maybe a kayak or stand-up paddleboard from our Southern Perks partners. Meanwhile, venture off of the property, but not too far, to find fun Destin attractions and activities nearby. Visit our Destin Fishing fleet at the Harbor and sample delectable local dishes at our terrific Destin restaurants. Shopping is not far either. Visit the Destin Commons, Silver Sands Factory Stores, and the shops at Harborwalk, all within a short drive. Enjoy full Gulf views from every vantage point when you stay with us at this 2 bedroom Breakers East Destin condo. Reserve your stay at Breakers East 105, a spacious beachfront condo located in the heart of Destin, Florida. Vacation in the center of Destin at Breaker East #106 and enjoy unbeatable views of the dazzling emerald green water of the Gulf of Mexico as well as a beachfront community pool. Enjoy a waterfront pool, tennis courts, private beach access and full Gulf views from this 2-bedroom condo rental at Breakers East. Spend your next vacation in downtown Destin at beachfront Breakers East #1204. This gulf front condo offers up magnificent views of the Gulf of Mexico and spacious accommodations for up to eight people. Retreat to the beaches of Destin, Florida and enjoy a beachfront vacation at Breakers East #1205. Delight in cozy accommodations for up to six people and a Gulf front community pool. Vacation in the heart of Destin near some of the most popular restaurants, shopping centers and thrilling attractions when you stay at Breakers East #206 perched directly on the beach overlooking the Gulf of Mexico. Escape to Destin, Florida with a stay at our waterfront 2 bedroom Breakers East condo, featuring 30-foot balconies overlooking the Gulf of Mexico. Vacation in the heart of Destin, Florida in Breakers East #305 and enjoy stunning views of the Gulf of Mexico from nearly every room. Spend your days lounging on the beach or splashing around in the beachfront community pool. Breathtaking Gulf views and a large private balcony overlooking the beach await you at Breakers East #404, accommodating up to eight people, located in the heart of Destin. Enjoy stunning views of the Gulf of Mexico from Breakers East #502! This two bedroom condo is perfect for your next Gulf Coast vacation. Reserve your next Destin vacation at our beachfront Breakers East two bedroom condo rental today. Breakers East #505 is a two bedroom condo perched on the soft, sugar white sand of the beaches of Destin, Florida serving up stunning Gulf views from the large, 30-foot private balcony. Escape to paradise when you stay at Breakers East 506, located in the heart of Destin boasting gorgeous Gulf views. Retreat to the soft, powder white sand and emerald green water and stay beachfront at Breakers East #603 in the heart of Destin, Florida. Fantastic upgrades and exciting resort amenities such as a beachfront community pool and tennis courts await you at Breakers East located directly on the beach in Destin, Florida. Plan your next beach vacation to Destin, Florida and stay at Breakers East #605 located near many appetizing restaurants and some of the best shopping in the area. Get away to the heart of Destin and enjoy exciting community amenities, Gulf views and nearby attractions when you choose Breakers East condo #606. 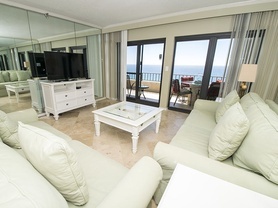 Stay with us in this remodeled eighth floor Destin vacation condo at beachfront Breakers East. 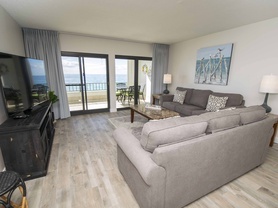 Plan your next getaway to Breakers East 806 located in the heart of Destin boasting gorgeous views of the most beautiful beaches in the world. Sneak away to the beautiful beaches of Destin, Florida and stay at Breakers East 902 located downtown near fantastic dining and shopping options. Sneak away to the heart of Destin at Breakers East 904 and enjoy stunning views of the Gulf from your large 30-foot balcony. Retreat to beachfront paradise when you book this two bedroom Breakers East vacation rental, located in the heart of Destin with access to exciting amenities including waterfront pool and tennis courts.